Like a vintage Mike Tyson fight, the Yankees confrontation with King Felix was over before it started. Heading into last night’s game, the Mariners’ ace righty had thrown three consecutive complete game victories against the Yankees, allowing only one run in the process. So, when Russell Branyan’s upper cut of an AJ Burnett fastball sent the pitch into the Yankees’ bullpen, it was baseball’s equivalent of a TKO. 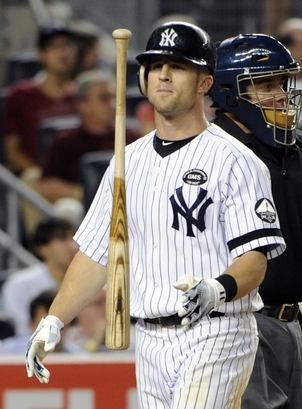 After that devastating blow only three batters into the game, the Yankees’ lineup seemed to throw in the towel. Unfortunately, in baseball, a beaten team is still forced to go the distance. Felix Hernandez knocked the bats out of the Yankees’ hands last night enroot to his fourth consecutive victory against the Bronx Bombers. Over that span, Hernandez has an ERA of 0.51 (Photo: AP). If the Yankees had any glimmer of hope after falling behind 3-0, it was quickly extinguished in the bottom of the inning when Derek Jeter followed up Brett Gardner’s leadoff walk with his 18th double play on the season. For the remainder of the game, the Yankees lineup flailed away at Hernandez’ impressive arsenal of pitches, while AJ Burnett scuffled against one of the worst offenses in the league. The Mariners entered the game averaging a paltry 3.3 runs per game, but nearly doubled that total in only seven innings against Burnett. Considering the opposition, it’s hard to find any positive with Burnett’s effort, but he was at least able to remain in the game long enough to save the bullpen. As a result, Joe Girardi only needed to use Chad Gaudin, whose two shutout innings only further highlighted how poorly Burnett pitched. Although the Yankees seemed to be going through the motions after the first inning, they were able to rise from the canvas and mount one threat in the fifth inning when two walks sandwiched around a single loaded the bases with only out. Usually, pitchers of Felix Hernandez’ caliber will give you one chance, if any at all, so, with the score already 5-0, this was the time to strike. Instead of using a pinch hitter for Ramiro Pena (an option made possible by the promotion of Eduardo Nunez), however, Girardi opted to let his light hitting third baseman face King Felix, who promptly set him down on three pitches before also striking out Gardner to end the threat. There is no shame in losing to a pitcher like Felix Hernandez, who despite having a 9-10 record should be given serious consideration for the Cy Young award. However, in this case, there was so much more to yesterday’s loss. Of most concern, obviously, is the continued inconsistency of AJ Burnett. Surrendering six runs to a team like the Mariners can only be described as an awful outing, of which Burnett has had way too many. With Andy Pettitte’s return date in doubt and Javier Vazquez going through a dead arm period, the Yankees need AJ Burnett to pick up the slack, but the talented right only continues to frustrate. Meanwhile, Alex Rodriguez was forced to leave the game after only one at bat, apparently re-aggravating the calf injury that kept him out of the lineup for three days. The Yankees have no replacement for Arod, so if he is forced to miss significant time, the Yankees’ lineup will be severely diminished (especially in those games when the team stubbornly insists on playing the anemic Francisco Cervelli). Luckily, the Yankees’ month of mediocrity has been matched by similar stretches of futility from the Rays and Red Sox, so the team still resides in first place with the best record in baseball. However, instead of having things come together as the post season nears, it seems as if the chinks in the Yankees’ armor are growing wider each day.